We offer turnkey contract manufacturing services to a wide range of industries and products. As a leading China sourcing agent, we offer premium services in product sourcing services that manage the project from beginning to completion, ensuring a quality product at the best price, delivered in a timely manner. We offer premium shipping and logistics solutions at competitive rates to all businesses looking to ship cargo from China to worldwide. We offer third-party warehousing services that manage inventory, fulfill and dispatch orders for other companies such as online sellers and eCommerce business owners. Product design and development is a broad field consisting of the lifecycle of a product, in which the whole process includes conceptualization, industrial design, engineering and prototyping, manufacturing, and fulfillment. Here at China Sourcelink our flexible development process gives you the opportunity to develop innovative products for a wide range of industries. We are a company delivering engineering solutions and product development services primarily in electronic and computer product, fabricated metal and parts, industrial machinery, construction and building materials, textile and fabric products, rubber and plastic products and more. We facilitate excellent product design and development services in China and USA for many companies. As one of the leading China freight forwarder, we offer premium shipping and logistics solutions at competitive rates to all businesses looking to ship cargo from China to worldwide. Whether you require air forwarding, ocean forwarding, express courier or any of our other services – including warehousing and distribution, customs clearance, kitting, order fulfillment, and much more – our years of experience combined with our outstanding staff and exceptional quality assurance systems provide you with the utmost in worldwide freight forwarding services. We offer a turnkey solution for contract manufacturing clients looking to develop a supply chain in China for new product designs or to shift location of production for existing assortments. We have years of experience in manufacturing in China for both consumer products and industrial products, and a strong expertise in a wide range of industries such as electronics and computer product manufacturing, fabricated metal product manufacturing, plastic and rubber manufacturing, machinery manufacturing, fabrics and textile product manufacturing, construction and building materials product manufacturing and more. Our hassle-free warehouse and order fulfillment services are designed specifically for the e-commerce owners or online sellers who sell Made-in-China products to the global market. We provide the comprehensive warehousing and handling services from China at competitive rate which takes great care of our customer’s supply chain in China. We understand the shipping and fulfillment needs of B2C e-Commerce companies and individuals quite well and therefore able to offer small and medium businesses with the storage and shipping on demand. If you trade online and have a global market, then we are the true fulfillment partner for you. Your solution to all your logistics and supply chain problems is on us. With over a decade of experience in the industry, China Sourcelink has truly been a leading China sourcing agent in all aspects. We help small-to-medium sized business owners, CEO of large international corporations, entrepreneurs , and engineering companies or brand owners sourcing products from China. As a professional China sourcing agent, we help companies with their sourcing, manufacturing, procurement, product development and product supply chain of their products, subassemblies or components. Our proven process ensures a quality product at the best price, delivered in a timely manner and with reduced risk to you and your assets. China Sourcelink is a global leading quality control and compliance service provider that partners with brands, retailers and importers around the world to secure, manage and optimize their global supply chain. Quality control is a mandatory part of the process when importing products from China, regardless of the order volume. We perform Supplier Audit Programs, product Inspections and lab Testing. The detailed inspection services include pre-shipment inspection, in-process inspection, and order consolidation for container loading. 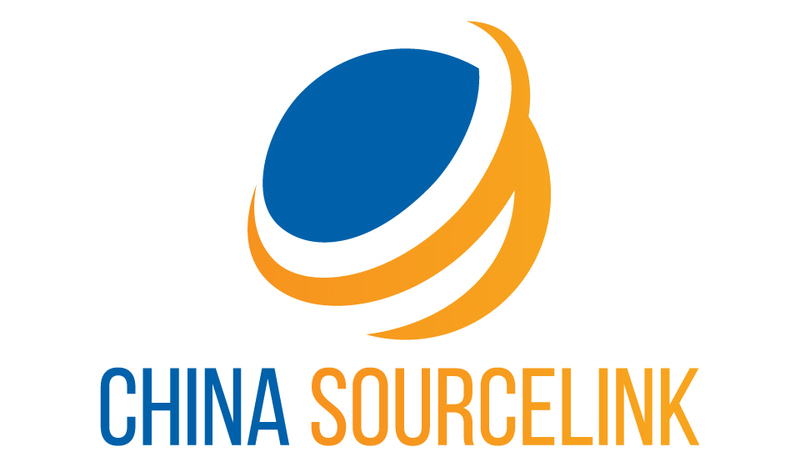 China Sourcelink offers fully-integrated supply chain solutions that are tailor-made for companies who are looking for outsourcing manufacturing offshore to China. From raw material sourcing, component and part contract manufacturing, final assembly to freight forwarding and customs clearance, we as your local business partner in the U.S. offer the one-stop solution that meets your specific need with our global presence. Long-distance management of multiple suppliers and the inevitable issues that arise during production can be a challenge, we understand the need for quality supply chain management services. With two offices in mainland China and one office on the West Coast of the United States, we are able to work with our client according to their time zone and provide reliable customer service and clear, on-going communication throughout the order process. More and more US companies are turning to China Sourcelink to help manage this dynamic, control costs and improve efficiencies. We can streamline your sourcing process, diversify and assist you with your supply chain management, proactively engage suppliers on your behalf, and control the quality of your shipments. How Does The Our Vertically-Integrated Services Work? We use design-thinking methodologies to uncover user and market insights to help make informative decisions throughout the entire product-development lifecycle. Here at China Sourcelink our experienced industrial design and product development team understands how to strike the perfect balance between innovation, aesthetics and functionality. Our experienced engineers and skilled technician work with the industrial designers to solve the technical challenges of the product to ensure it looks and functions exactly as it should. Iteration is key to building great products; we build prototype after prototype, not satisfied until the product is perfected. We provides turnkey professional services in contract manufacturing which ranges from raw material sourcing, parts and components fabrication and final assembly to the complete system integration. As your China Contract manufacturer, AKA original equipment manufacturing (OEM) supplier, while coordinating with our network of thousands of reliable factories for parts, components and subassemblies, we manufacture and deliver our clients custom-made products according to their quality and quantity specifications. Our team maintains high quality and competitive pricing for all the products we manufacture. Over the course of past two decades, we have built thousands of innovative or standardized products coming from a wide range of industries, such as electronics and computers, hardware and tools, automotive, lighting equipment, building and construction material, machinery, textile and apparel, toys and consumer goods, packaging and more. Quality control is a mandatory part of the process when importing products from China, regardless of the order volume. We strictly enforce ISO 9001 standard in every single step during our production. We perform due diligence in pre-shipment inspection, in-process inspection and first-article inspection to deliver the final products according to our client’s requirement with guaranteed quality. We also do lab testing and apply for certificates such UL//CE/FCC/RoHS, and etc., on our client’s behalf to ensure meeting the compliance in the corresponding industry. Whether you require air forwarding, ocean forwarding, or any of our other services – including warehousing and distribution, customs clearance, kitting, order fulfillment, and much more – our years of experience combined with our outstanding staff and exceptional quality assurance systems provide you with the utmost in worldwide freight forwarding services. As a leading China sourcing agent, the main scope of our premium procurement services can be categorized in the following industries : Lighting, Solar Panels, Building Materials, Industrial Machinery, Fabrics and Textiles, and General Packaging. As one of leading China sourcing agent in the lighting industry, we specializes in providing innovative, next-generation LED lighting solutions that improve lighting quality, improve efficiency, and enhance the environment through reduced energy consumption. We offer LED street light, LED flood light, LED tunnel light, LED high bay light, solar LED light and more with applications to office, kitchen, outdoor street, residential and commercial building and etc. China Sourcelink is the building product source for the design and construction professional: Architects, Contractors, Subcontractors, Designers, Engineers, Facility Managers and Building Owners. We’re providing specialized construction materials to create and maintain roads and bridges, telecommunication, power, and water plants — the infrastructure your community relies upon. From pouring concrete and sandblasting steel to developing safety-glass innovations for the workplace, we are showing up for work with smarter solutions for modern building. We provide superior customer service and a wide array of product offerings that includes but not limited to: residential roofing,commercial roofing,vinyl siding,cement siding,insulation,decking,windows,doors, millwork, accessories. Solar panels are the object for converting the solar energy into the electricity. China Sourcelink is a global leader in the solar industry.A solar PV module consists of solar cells, glass, EVA, backsheet and frame. monocrystalline solar panels, polycrystalline solar panels,thin film solar panels. Through state-of-the-art engineering and outstanding quality, our solar modules offer world-class performance and guaranteed long-term reliability. Our product line is well suited for residential, commercial and utility applications. Our tailored solutions enable retailers, brands and manufacturers of textile products, apparel and home textiles to ensure the safety, quality and performance of their products with precision, resulting in increased speed to market. 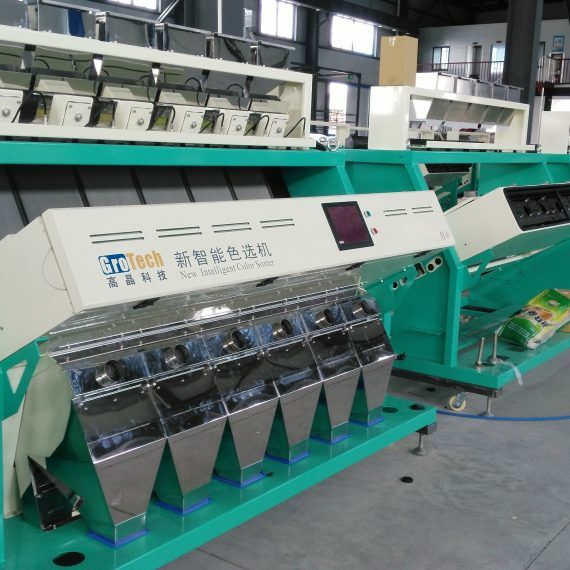 Here at China Sourcelink we perform textile sourcing on items ranging from fabric samples to finished products, including activewear, apparel for children and adults (pajamas, sweaters, jeans, outerwear), fashion accessories (scarves, belts) and soft home furnishings (bedding, curtains, upholstery). We help our customers go beyond regulatory requirements to consistently meet consumer demand for high quality, minimize reputational risk, reduce environmental impacts and protect the interests of retailers, brands, textile manufacturers and consumer safety. We as a leading China sourcing agent has been supplying for machinery to worldwide. Our categories includes Wheel Loaders,CNC Machines,Laser Cutting Machines,Agriculture / Food Production Machines, Roll Forming Machines,Welding Machines,3D Printers,Brewery Equipment,Packaging & Printing Machinery, and Injection Molding Machines. Whether you are based in U.S., Europe, Australia/New Zealand, or India and Pakistan, we ensure all the machinery exported are complied with the domestic standards and regulation. We also offer great support after sales for each of our customers, which includes warranty, spare parts, installation and maintenance instructions. We are a supplier, consultant and designer of plastic bottles, glass bottles, plastic jars, glass jars, metal containers and closures for your packaging needs. As one of leading China sourcing agent specialized in general packaging solutions, we have grow our customers’ bottom lines with packaging products and services for a wide range of industries such as food and beverage, cosmetics, pharmaceutical, nutraceutical, E-cigarette, household cleaner, painting, coating and more. We are the single source that brings together the best elements of packaging manufacturing, distribution, design, private label and branding. Here at China Sourcelink, we manage your manufacturing process, control the quality of your products, and streamline your distribution. We offer services that manage the project from beginning to completion, which includes identifying, verifying, qualifying, fulfilling and distributing your products. We help companies with their sourcing, contract manufacturing, quality control and inspection, and logistics that consists of the overall steps in their entire supply chain. 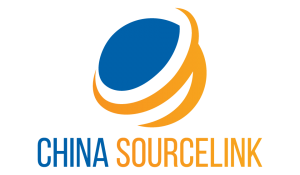 China Sourcelink is founded as a global supply chain solution provider positioning to US companies that are looking for outsourcing manufacturing to China. We develop (design, conceptualization, prototyping, tooling), we manufacture (procurement, fabrication, quality control, assembly) and we manage the supply chain (warehousing, packing, fulfillment and logistics) for existing or new products on behalf of our customers. As a lead supply chain managing company, we play three important and distinct roles in our client’s supply chain: contract manufacturer, quality inspector, and freight forwarder. As one of China’s leading contract manufacturers, our team maintains high quality and competitive pricing for all the products we manufacture. In the contract manufacturing part, we have an extensive experience in a wide range of industries. Apart from the technical perspectives, another big challenging part for American companies outsourcing manufacturing to China will be the language and cultural barrier. We understand the Chinese culture, language and legal system, and will work to ensure quality, compliance and unmatched value. And with reliable partnership with thousands local Chinese factories for different parts, our team is able to offer the turnkey contract manufacturing solutions to optimize your cost control strategy without compromising your product’s quality. 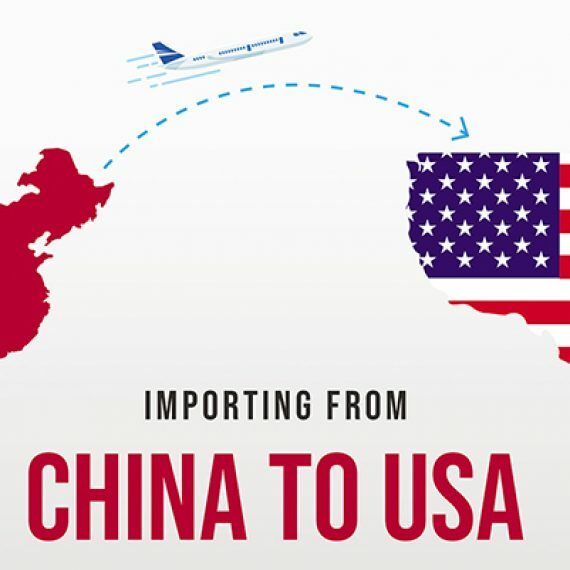 As one of the leading Chinese shipping companies and best freight forwarder from china to usa, our logistics department helps our clients transport China commodities to the United States in a timely, efficient and compliant manner. We offer competitive price with quality customer services in air freight shipping, courier services and sea freight shipping from China to USA. In addition, we can help you with warehousing, customs clearance, order consolidation, optimization strategies and tracking systems that will raise visibility of product and reduce the freight factor of deliveries. Our focus is on process and delivery efficiencies and with our logistics services we can help you drive additional costs out of the supply chain. Whether it’s contract manufacturing, quality control or logistics, China Sourcelink’ Supply Chain Management Services help to restore certainty and improve efficiency across your supply chain so you can go back to focusing on your customer and leave the challenges of international procurement to us. The world is your marketplace. Leverage our presence in your supply chain to gain a competitive edge. As your experienced China sourcing agent, we have proudly served clients from North America(United States, Canada), Europe(Germany, UK, Spain), Latin America(Ecuador, Brazil), Middle East(United Arab Emirates, Israel, Bahrain), Asia(Korea, India, Pakistan),and Oceania(Australia). We are also looking forward to expanding this list as the years go. I am an entrepreneur from silicon valley, United States, where I run a successful business in luxury ground transportation. I decided to start a new venture in electric scooter and found information about China SourceLink on the internet. I hired Kai as my sourcing agent in Shenzhen to identify the suppliers for my project in electric scooter. During the course of this project, his work ethics, rate of progress, level of contribution has all exceeded my expectation even to the very best agent. He is truly exceptional in his work and it was such a wonderful experience to work with him. On behalf of Bahraini business delegation we were invited by Xu Qin, Mayor of Shenzhen to take part in the China High Tech Fair 2016, most prominent high-end technology event in China, at the Shenzhen Convention & Exhibition Centre. Kai was assigned by the fair organizing committee board as our interpreter during our visit to Shenzhen. I believe he contributed a lot to our participation in this event, and our trip wouldn’t be so successful and productive without him. Our participation in the China High Tech Fair 2016 is a great way for us to take our economic and investment cooperation with China to a more advanced level in the future. My name is Mohsin Shah and I am from Dubai. China SourceLink has helped me successfully to register my company in Shenzhen. After that, I also have accounting and tax service from them. They offer traditional accounting service such as bookkeeping, financial statements, and budgeting that meets our needs and objectives. They truly care for their clients. From individual income tax to cooperative tax planning, they provide insightful opinions to help us to save a great amount of money by reducing our tax burden. We are so glad to have such a wonderful financial partner we know and trust. I am working on two business ventures in the United States. The first venture involves the VR Entertainment and Arcade vertical. The second venture that I am developing both incorporates the use of virtual reality for both behavioral/mental therapy and education.I visited Shenzhen on December 2016 and Kai were assisting me with translation, business negotiations and sourcing in the Virtual Reality space. He demonstrated a great understanding in the merging technologies and played an important role in identifying the suppliers. I am happy to have him as my business partner on China side. Stay well informed with our blog posts to know more on contract manufacturing, OEM/ODM manufacturing, rapid prototyping, product development, product sourcing, logistics and freight forwarding, and supply chain management from China. Together with our own manufacturing facility and plant, our production and project managing office is at Shenzhen. Our Guangzhou office is responsible for procurement and logistics. For those of you who are in North America, we also have a branch in Los Angeles California which provides great customer supports. Got a question? Let’s talk today.